Yesterday the church of my childhood left the denomination, the Presbyterian Church (U.S.A.). It had been a long time coming. For years they have struggled with others in their Presbytery (the collective body of Presbyterians in their region). In fact, I experienced that firsthand when my own process to ordination became a bit of a battleground between them and the Presbytery. It was a messy, challenging time in the course of my journey. I see now that it was painful for us all — each one of us trying to be faithful to who we believe God to be. Even though it has been nearly twenty-five years since I have been directly connected with the church of my childhood, something about yesterday grieves me deeply. Like a long-awaited divorce in which the papers finally are settled. It’s not necessarily easier no matter how long it takes or how long it’s been since you all last talked. I keep coming back to this odd sensation that somewhere along the way we all have grown into someone other than who we once were. I believe that my own life and worldview have gotten bigger. I’ve never considered myself a courageous person; yet I can see how from that starting point, my own journey has unfolded as one of openness, acceptance, and trust that we all are held in the messiness of it all. Even if we no longer understand God, ourselves, or the world in the same ways; I am grateful for how I was blessed from the ministry of that congregation. As we formally part ways, I need to say thank you. I am because of who they all are — or have been. I remember Mrs. Bacchaus. Every week in the church basement, she taught us with the felt board and the rolling dividers. I remember Ms. Dottie who had such a joy about singing. She introduced us to all sorts of songs that kept me throughout my youth. I remember Pastor Paul who baptized me when I was an infant and retired from that post when I turned 18. I loved him best because in a world where children pretty much were to be seen and not heard, Pastor Paul held a special place for us. He treated us youngsters like we mattered. In doing so, he gave me the experience of a God who is love. And I am most grateful for the night when I was about 20 years old when I discovered “A Brief Statement of Faith” in our Book of Confessions. I was about ready to be done with church and all the God stuff as it seemed it always was just a fight about who was bound for hell or not. What I really needed was a God and a faith community that would be with me NOW in how I would live out discipleship each day here on this marvelous earth. That night I read: “In life and in death we belong to God. 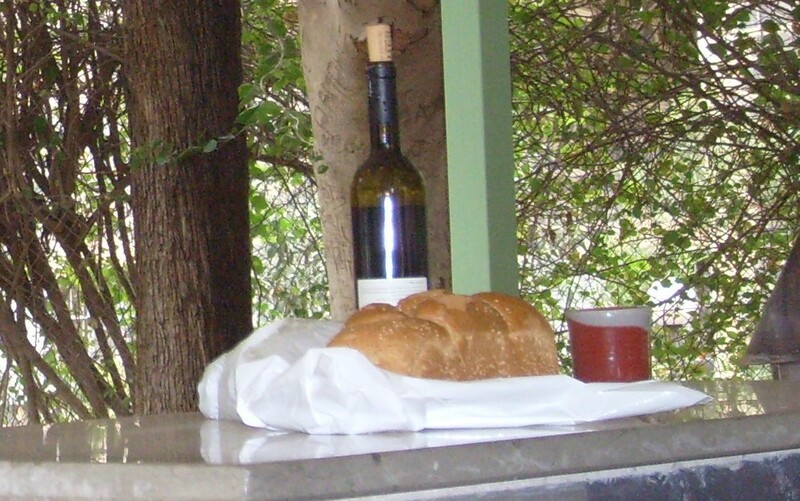 Through the grace of our Lord Jesus Christ, the love of God, and the communion of the Holy Spirit, we trust in the one triune God, the Holy One of Israel, whom alone we worship and serve.” The faith statement went on to profess a living God who in Jesus the Christ acted for the sake of any in need — even children; an Abba, creating God, who in sovereign love made the world and all of us good; a Holy Spirit that still is at work in and among us to bind us together with one another for the sake of all the world. And then words that have become a great comfort; especially as I have said them at the bedside of the dying, in the presence of the mourning, and in worship among those who might just be going through the motions for the week: “With believers in every time and place, we rejoice that nothing in life or in death can separate us from the love of God in Christ Jesus our Lord.” (PCUSA Book of Confessions, “A Brief Statement of Faith”). I don’t know how I first got my hands on “A Brief Statement,” nor do I remember all the details at that time in my life with the church of my childhood; but I do know that upon reading that statement, I finally knew what it meant to be a part of the Reformed Theological Family of Faith and in particular the Presbyterian Church (U.S.A.). I finally knew that I was home. I’ll never agree with everything we are and do; and I’m grateful that I exist in a family of faith where that is to be expected, in part so we can practice grace among one another. I grieve that the church of my childhood no longer believes it can be a part of such a family and I hope they find a communion where they can grow in the grace God. As for me: all I know is that here among fellow faithful followers — ones who wrestle with God, one another, and our place in this world; HERE I am home. And come what may, nothing can separate us from the love of God in Christ Jesus our Lord. Thanks be to God! To learn more about the Presbyterian Church (U.S.A.) go to http://www.pcusa.org or visit a PCUSA congregation in your area. This entry was posted in Daily Insights and tagged A Brief Statement of Faith, Book of Confessions, childhood church, denominations, grace of God, PCUSA on June 16, 2014 by RevJule. Your post “Changes” prompted me to refresh my memory of a favorite story: Lessing’s “Nathan the Wise” and particularly its Ring Parable. Referring to the 3 monotheistic religions, the story tells about a king who had 2 (or maybe 3?) identical copies made of a special ring so that after his death his sons would not fight over who owned the real one – they did anyway. (Wikipedia has an excellent summary). There also is a line that says … we learn our religion from those elders whom we consider wise … . We learn and move on and others also move on, maybe into different directions. For various reasons, I am also very thankful to belong to PCUSA but I have to remind myself that its model may not be ideal for all. God gave us the freedom to chose how we can best serve Him/Her. A world in which the entire population belongs to PCUSA???? It would be too predictable. And, human as we are, we’d find a way to break it up. A world of PCUSAers! That makes me giggle! I may have to use the 3 rings story sometime! Thank you, Carla!